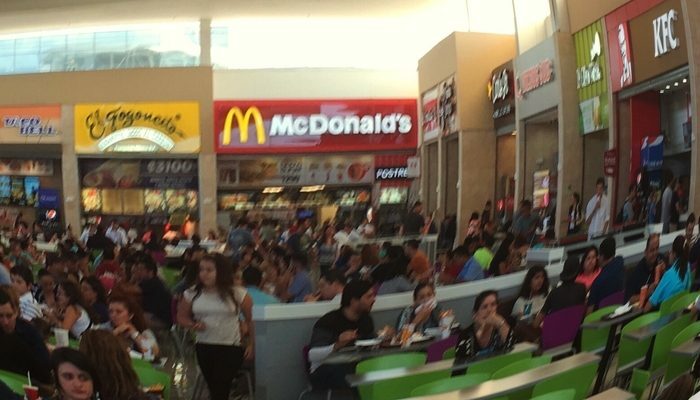 Is Gringo Fast Food Responsible For Obesity In Costa Rica? 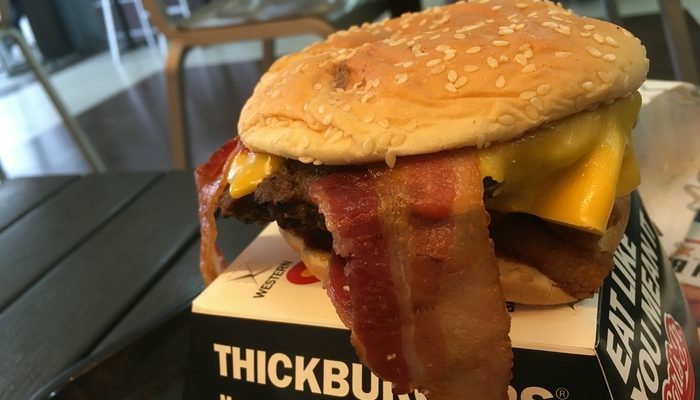 Whenever the subject of obesity in Costa Rica comes up in expat circles, many are quick to blame the influx of US-style fast food. But no so fast. Is it all about that? An article last year in the Tico Times said obesity in Costa Rica has quadrupled since the 1970s. This is a typical story, repeated in most developed countries. If it points to anything, it’s that Costa Rica has now pulled itself out of the third world. Congratulations! Like America, you too now have a rising population of fatties. Welcome to the club! Without going into the details behind the article, what I want to touch on is this story’s reaction on social media. Knowing this country like I do, I was sure people would blame fast food for obesity in Costa Rica. And sure enough, I was right. “It’s ridiculous to blame this entirely on “gringo fast food” as I’m sure many people will. Costa Rican food is hardly conducive to keeping slim. Fried chicken, chicharrónes, re-fried rice with everything. You need to consider that since the 70s the middle class has expanded (no pun intended). More people are sitting on their asses all day rather than doing physical labor,” I wrote with a mischievous glint in my eye. …. And on and on. You get the picture. Looking at the above comments all I see is denial and subtle anti-gringo sentiment. The denial seems to come from Costa Rican commenters. The anti-gringo stuff comes from gringos themselves. There is a certain species of gringo expat in Central America who will blame the evil United States for everything. Ticos getting fat? Blame Uncle Sam. It’s all on him. Never mind that Costa Rican food itself isn’t the healthy cuisine that many say it is. Don’t get me wrong – I like Costa Rican food. Arroz con pollo is one of my favorite dishes of all time. I could die for a sweet, succulent tres leches or torta chilena. Olla de carne is a hearty and filling meal. Who doesn’t like a good casado or mondongo? If I could spend my life eating chicharrones and drinking Imperial Silver beer, I’d be in heaven. Costa Rican food is a lot of things, but it’s not especially healthy. 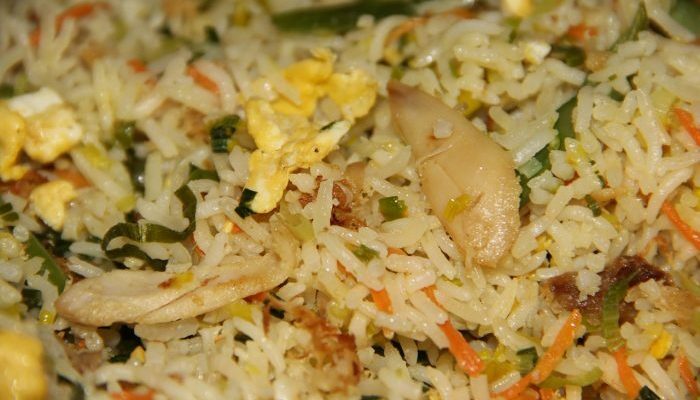 As much as people celebrate the fruits and veggies down here, they always come with rice. Everything comes with rice. White rice at that. And the fried stuff? It’s good food, but doubling down on the carbohydrates three times a day without exercise is not a way to stay thin. Eating fried chicken, fried patacones, fried… well, anything every day is not a way to stay thin. Your average Costa Rican will get up in the morning and have a hearty plate of gallo pinto. Gallo pinto means “spotted rooster” in Spanish. There’s not much chicken involved here though unless you count the scrambled egg beside it. It’s re-fried beans mixed with rice. Gallo pinto is the first meal of the day for your average Tico. That’s a big dollop of carb-packed rice with eggs, sausage or ham/bacon, and sour cream. Gallo pinto is a great meal to have in the morning if you’re about to go out and pick coffee or bananas all day. It’s a great head start to the day if you‘re about to do the hard physical work once common in Costa Rica before it became a service industry-orientated country. It was a great breakfast to eat before having to walk miles to work or to school. That’s what carbs are for – for providing energy. But when you’re in an office, stuffing yourself full of carbs before sitting at a desk all day only has one outcome. Back to our average Tico. He’s eaten his gallo pinto, prepared by his mom or his wife, and gone to work. He need not walk far – he’s got a car or he can take the bus or an Uber. He gets to work, sits at his desk, and puts in a morning. Noon rolls around and he looks at the clock. Lunchtime is near. When it arrives, he and his compañeros will stroll around the corner to the soda (a typical Costa Rican cafe/diner). They go there every day. They’ll take their seats and order a casado or an arroz con pollo. Both are tasty. The casado will be a plate of rice and chicken/beef/fish with a salad and the arroz con pollo will be rice with chicken. It will come with french fries and a salad. So we got rice again for lunch. More carbs on top of the Gallo pinto carbs. With lunch they’ll have a fruit juice. Costa Rica has delicious fruits. It’s a fertile country where a common saying is you can stick anything you want in the ground and it will grow. The only problem with fruit juices is the custom of dumping a ton of sugar into the blender alongside the fruit. And I’m talking tons of sugar. In fairness, this isn’t a unique Costa Rican thing. Latin Americans from Mexico to Patagonia love their sweets. Diabetes is a major problem in this part of the world. I’ve seen nothing like it. You have a gorgeous selection of papaya, banana, mango, and strawberries in a blender. You add water or natural yogurt. And then it’s ruined when a cup of sugar gets dumped into it. That’s the norm down here, not the exception (although, in fairness, it‘s getting better), and is the reason I only make my fruit juices and smoothies at home. But our guy doesn’t care about that. His fruit juice is full of sugar and he’s okay with that. It’s how his mom makes it. Back to work. After sitting at his desk for a few more hours, it’s time to go home. Our hero takes off his headset or powers down his computer and leaves the office. He might go for beers with friends or he’ll head straight home. When he gets home, dinner will come with more rice and/or French fries. He’ll then go to bed and repeat tomorrow. It’s the Tico way. My point is loading yourself up on carbs and not exercising is bad for you. Carbs are energy. If you’re not burning energy, then that energy gets stored away for future use in the form of fat. I’m not writing this to attack the Tico diet. I already said I like the food here, and God knows the gringo diet is no healthier. But both gringo and Tico diets cater to a less sedentary lifestyle. A lifestyle of more physical labor and movement. Both diets are high-carb and neither gringos nor Ticos move around enough anymore. I’m calling on people to not point-blank blame the influx of McDonald’s and KFC for the obesity problem. Ticos have always loved their fried chicken. It’s not – believe it or not – the sole fault of fast food. I’m asking that Ticos not stick their heads in the sand with their diet. It’s easy to blame gringo food while not remembering that as this country has developed a middle class. A middle class where people sit down for a living and drive around in cars. It has developed the same obesity issues that affect affluent, middle-class countries elsewhere. 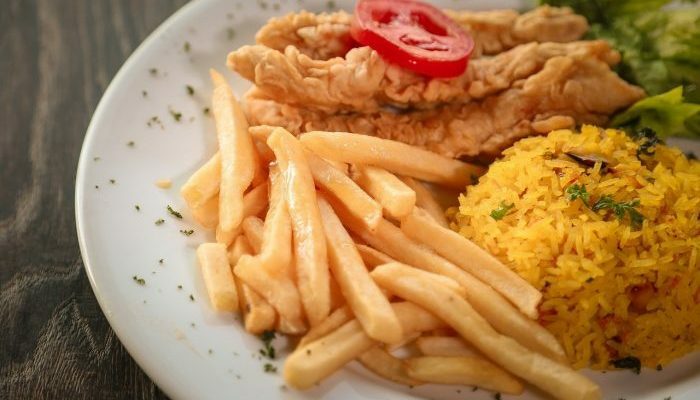 It’s easy to blame gringo food while munching on pollo frito bought from a hole-in-the-wall in Coca-Cola that predates the arrival of KFC by decades. It’s not all about the food. It’s about your lifestyle. In fact, it’s about you.